PradoRey’s main goal is to make honest wines that are a reflection of their terroir and capture the true essence of its grapes, tradition and tech- nology working together to attain the best of wines that make their mark. 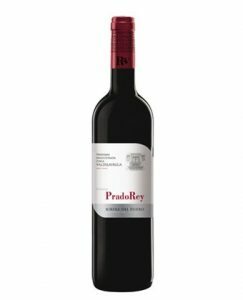 Wines from the Ribera del Duero D.O. are characterized by reflecting the maximum potential of our vines, coming from land full of tradition where the whole essence of the grapes is extracted. The main aim of the wines from Rueda D.O. is to extract all the aromas and scents from the very first moment of the winemaking process. 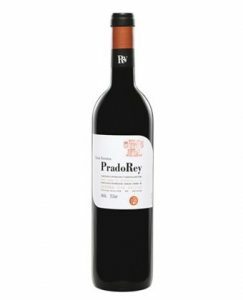 Prado Rey wines are always a delicious and safe choice, justified by all the awards make it a perfect companion. Shows an intense purple red with violet shades. Very fruity, intense and fresh, with hints of blackberry compote and balsamic. Spicy hints due to its time in oak barrels. In the mouth it is fresh and persistently fruity, round and balanced, velvety and meaty with long aftertaste. A perfectly integrated touch of oak can be appreciated. This great Ribera del Duero, pairs perfectly with roasted meats, game, red or cured meats, Iberian cured meat, cheese and oily fish. It may also be served before a meal such is its quality and subtlety. Serving temperature 16º-17º C. A wine briefly matured in oak barrels, which PradoRey has managed to make a category of wine in itself. Ruby coloured with iodine rims, bright and high intensity, typical of the Gran Reservas of Ribera del Duero D.O. with a long life still. Complex nose of fruit, compote, minerality and balsamic that changes as the aromas expand in the wineglass. Elegant in the mouth with distinct tannins, complex structure with velvety and rich aftertaste. A Gran Reserva with a lot of life. Potent Ribera del Duero perfectly pairing with meat, roast meat, game, stews or any dish of contemporary cuisine. Serving temperature: 17º-19ºC. Previous decanting of this wine is advised in order to appreciate all its complexity. Of a dark cherry red and maroon in the rim. High intensity bright colour. It shows a great complexity of aromas in the nose with outstanding hints of ripe fruit, Chinese ink and minerality typical of this varietal. The Central European wood perfectly complements this wine. Round in the mouth with well integrated tannins, rich finish with long and pleasant aftertaste of ripe red fruits. 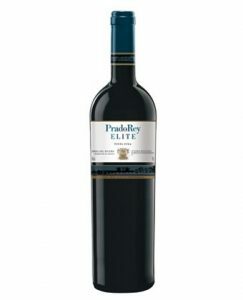 PradoRey Élite pairs to perfection with the typical dishes of the local area, such as roasted meats, game or vinegar-marinated meats. Also suitable for contemporary cuisine dishes. Serving Temperature 17º-19º C. In exceptionally good vintages only 25.000 bottles are produced from the vineyard site of Hoyo Dornajo. It shows a cherry red colour with strong bluish shades, brilliant and intense colour. Intense nose with dominance of ripe red fruit, and a touch of sweetness derived from its time in oak barrels. Rich in the mouth with round tannins and pleasant freshness on the palate. Velvety rich finish with strong fruitiness. As all great Riberas this wine complements well the exquisite typical dishes of the local area, such as roasted meat, game and red meat and it also could be paired with other dishes from contemporary cuisine. Serving Temperature: 17-19º C.
If you want to know more about the products on this page or other great beers, wines or spirits, head over to the contact page and let us know!